Doctor Who: On Soap And Soapification | Warped Factor - Words in the Key of Geek. Tony Fyler says be grateful for the soap. Imagine you’re Russell T Davies in 2004. You’ve won support for the most unlikely of projects – the revival of your favourite TV show from three ignominious sabbaticals – the Colin Baker, Sylvester McCoy and Paul McGann versions. You’ve got a budget, you’ve got some story ideas, you’re looking at potential Doctors and companions. The question is this: what tone do you take for the show? You’ve got decades of fan expectation and understanding riding on this decision. Will you be the savior of Doctor Who, or will you condemn it to a final grave by choosing a tone that sees it flounder and lose all its goodwill? Do you make it for the die-hards? For the children? Do you bring back the last Doctor for consistency, or start all over again? Retell the story? Reinvent? Punch your way through with the sci-fi? Make it an out-and-out comedy? Go dark and gritty? How do you balance the variables of a show that even at its height was a vast array of things to a vast array of people? Come back to the here and now before you start to sweat through your clothes. The decisions aren’t yours to make. They’ve already been made, and by a braver man than most of us. Decision 1 - New Doctor. Choose an actor that gets people taking the pre-show buzz seriously. Movie star Hugh Grant turns you down because he thinks it’ll be pants. Cheers, Hugh. Then turn to a gritty actor, one you’ve written for before. One who people will look at and think ‘Really? Him?’ – one who’ll bring them in just to see what he’s doing in that flimsy-walled camp sci-fi show from all their memories. 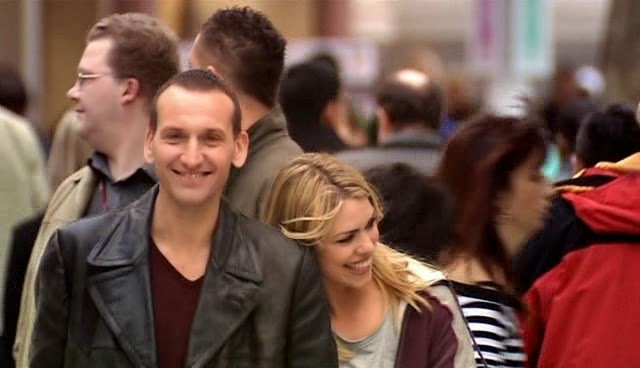 Step forward Christopher Eccleston, in a minimalist black leather jacket and (for the Doctor) a severe haircut. Decision 2 – No poncing about with regeneration; let’s get through the first series and see if we even need to explain what all that’s about. Decision 3 – Modern girl companion. None of that ‘screaming ankle-twister’ sexist nonsense which, with the best will in the world, the scripts of old demanded. Decision 4 - No more dodgy sets and effects. Squeeze the budget but make it look like a modern, US-competitive science fiction show. Decision 5 – More thoughts on the Doctor and his history. Remove Gallifrey from the equation. Deepen the character; make him responsible for an atrocity that wiped out Daleks and Time Lords both. Give him survivor-guilt. The companion can rescue him from this, and make him more of the Doctor the fans think they remember. There have always been female fans, but they’ve been vastly outnumbered by the boys. The sexist role allowed the companion has been a big part of that, but what would it take to make Doctor Who not just a niche science fantasy show and balance the darkness of the Doctor at the same time? 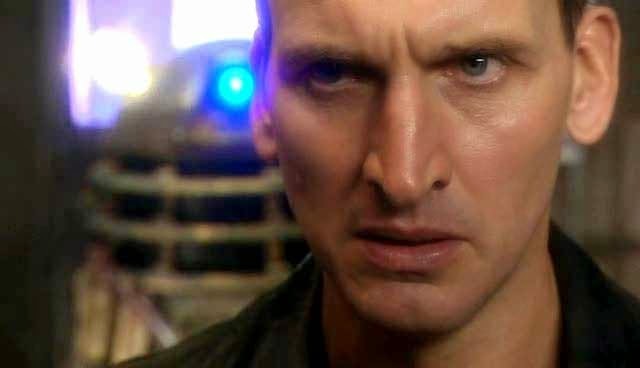 Ten years down the line, Davies has come in for more than his fair share of criticism for what has been called the ‘soapification’ of Doctor Who when it was reinvented – giving the companion a family, a world to be part of, and setting the precedent of the companions having strong, complex, emotional reactions to the character of the Doctor himself. Doctor Who had always been sexless, asexual, as though that whole side of the universal human experience didn’t apply either to him because he was an alien, or to his companions. The reason it got away with that is because most often, the companions gave up their entire real lives without in most cases a by-your-leave to run off with the stranger with the magic box. That wasn’t going to wash in 21st century Who. If you were going to have companions that redressed the sexist balance of the original show, they were going to have families, complications at home. The Tardis and the Doctor were both wonderful opportunities for the companions, but if the idea was going to be that the Doctor had learned to fly his machine with precision, then there was no reason why having adventures with him meant a decision to turn their backs on their families and their lives on Earth. Davies learned the lessons of shows from Buffy The Vampire Slayer to ER to The West Wing to House, and determined that to work for a mainstream audience, the Tardis, the whole of space and time, and the monster-fighting had to work as the backdrop – like the hospitals in ER and House, the White House in the West Wing, the vampire-slaying in Buffy or to use later examples, organized crime in The Sopranos and Boardwalk Empire – for real character-driven storylines. It would be the characters and their emotional interactions that would take Doctor Who, a beloved ‘family’ show with a strong but very niche pedigree, and let it bestride the world of mainstream viewers of both sexes. So while fans of the Classic show still howl about the ‘soapification’ of the show since 2005 and the ‘romance’ elements brought in by Davies and entirely continued by Moffat, it’s worth taking a moment to reflect that these elements are why the show has both survived ten years since its revival, and gone on to conquer the world in ways it never managed in its first 26 years, or in its Paul McGann iteration. These elements were among Davies’s many strokes of genius, and they fundamentally changed what Doctor Who was, and would be, going forward into the future. Even for fans who still find it difficult to accept these elements as part of what Doctor Who is about in the 21st century, they’ve acted as gateways to a mass mainstream appeal, and allowed the show to tackle relevant, modern human dramas in ways the Classic show would never have had the emotional license to go anywhere near. They’ve allowed the companions a sense of reality they were traditionally denied on-screen, but which they’d been allowed in other media, like the Virgin New Adventures, the BBC original books, and later the Big Finish stories. There was no way the series when it was reinvented could have sought to put the genie of such breadth of character development back in the bottle and gone back to the rigidly science fantasy-only strictures of the Classic show. Even the traditional fan base, which had sustained itself by devouring stories in these other media, would have been disappointed if Davies had tried to go purist and Classic in the 21st century. For all the good times of the last ten years, we owe Russell T Davies an enormous debt, for having the courage to choose a more soapy, character-driven, realistic tone, and for having the skills to write that kind of show in a distinctly Doctor Who way.